What next for Darshan Patel's Vini Cosmetics after Fogg? His products are different, as is his no-holds-barred marketing style. "Watch out for the deodorant wars this summer," says Devendra Chawla, CEO, Food Bazaar. He should know - the supermarket chain retails over 60 deodorant brands. Here, Chawla is referring to fragrance promotions at his outlets. He is gearing up for counter marketing moves from several multinationals to check the rapidly expanding footprint of Vini Cosmetics. Some deft marketing by the company of its products - Fogg and 18+ - has helped it penetrate the market. Already Fogg is among the top selling deodorant brands in the country. Darshan Patel, the promoter of Vini Cosmetics, appears matter-of-fact about his recent success. 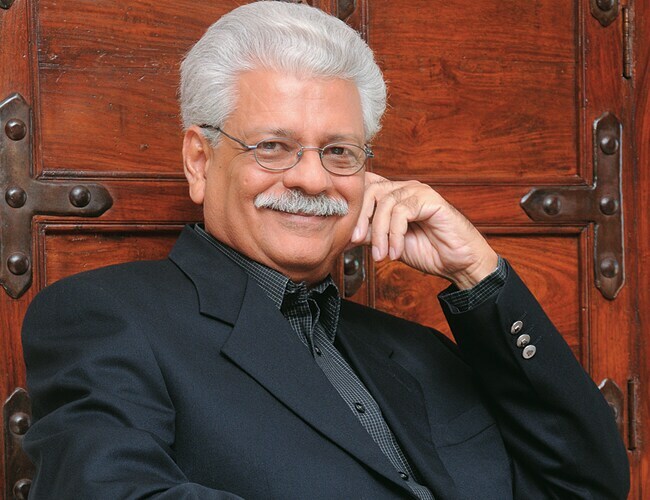 Sitting in his Ahmedabad office, dressed in his trademark white shirt and trousers, he explains how he came up with a winning strategy for Fogg. 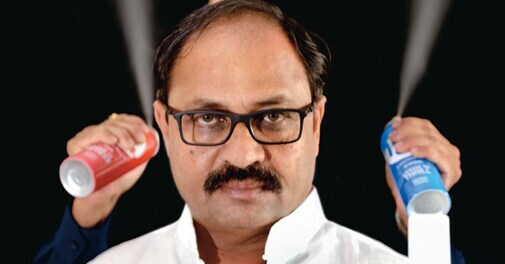 At the launch of 18+ in July 2011, his first deodorant, Patel asked everyone for feedback. "People said it smelt good, the pricing was fine but one feedback kept surfacing that 'deodorants get over fast'," he says. He decided to address that concern of consumers by launching Fogg, a product without gas. This prevents the liquid from vapourising easily, checks its wastage and makes a deodorant bottle last longer. Fogg was thus launched in end-2011 with the tagline Bina gas wala spray (deodorant without gas). The market response was overwhelming. Media reports, quoting Nielsen data, have said that Fogg is now the leader in the Rs 2,000 crore deodorant market with a 12 per cent share. Vini Cosmetics was launched by Patel after he sold his one-third stake in Paras Pharma to private equity (PE) company Actis for $43 million in 2006. "I was just 44 years old then, and who wants to be unemployed," he says. 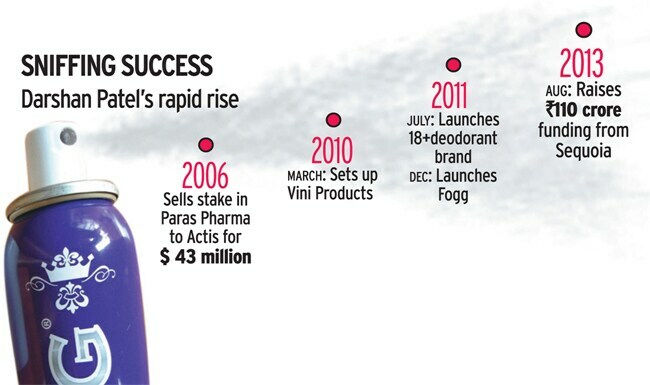 Indeed, Patel had already built a formidable reputation for being a market disruptor with some of the over-the-counter brands he built for Paras, including Krack cream, Itch Guard, Set Wet, Dermicool and Livon. "My ability to seize the consumer pulse was proven. So, I decided to do what I knew best," he says. Patel spent four years in product development and building a network of distributors for his new company. Vini was formally launched in 2010 and soon unveiled 18+ and Jinjola (cooling talcum powder). But it is Fogg, its second deodorant, that has been its most successful product. Market observers point out the rapid strides made by the brand. "Fogg is among the top three brands of more than 60 brands that retail at Food Bazaar outlets," says Chawla of Food Bazaar. The top three, not necessarily in the order listed here, are Axe, Wild Stone and Fogg. Wild Stone is owned by Kolkata-based McNroe Chemicals in partnership with Future Brands - a brand consultancy division of Future Group. Chawla says that the deodorant category was beginning to lose pricing power but the success of Fogg is changing that. "When the leader took the 'attraction' route in communications, all brands followed suit. This unfortunately, commoditised the category and brands lost pricing power," he says. Fogg, according to Chawla, took a different route in striking out and managed to garner market attention. A 100 gm bottle of Fogg costs Rs 180, about seven-to-10 per cent higher than other products in the market but the number of sprays per pack would be significantly higher than competition. Indeed, Fogg was costlier than most other deodorants by over 15 per cent about a couple of years ago but the price differential has now narrowed as other brands have raised prices. Meanwhile, Patel's growing reputation as a brand wizard has caught the attention of investors. "Darshan Patel is easily the best marketing brain in the country; and we have met several marketers," says Abhay Pandey, Managing Director at venture capital firm Sequoia Capital, which pumped Rs 110-crore into Vini in August last year for a nine per cent stake. And it is not merely an understanding of personal care and health-care markets that gave Pandey the confidence to fund Vini. More importantly, he has seen Patel in action. "We were investors in Paras and know his ability to act on consumer insights to create products and back these up with aggressive and meaningful communication," he says. Patel had no formal grounding in the basics of branding and marketing. "I did not know the 'A' of advertising, the 'B' of branding or the 'C' of consumer insight until the early nineties," he says. 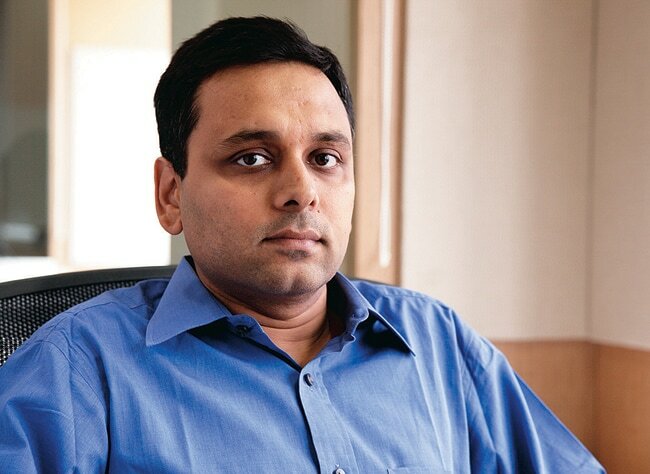 Patel's first brush with marketing happened in 1986 when he was asked to help out the family-run business, Paras Pharma. "Moov was launched, but it was just not getting the traction. Research told us that it was an also-ran and its use was limited to just a couple of occasions when people could not tolerate pain," he says. That is when Patel undertook his life's first 'repositioning' exercise. Moov was labeled as a specialist pain reliever for back pain from just a general pain balm earlier. This gave it an identity distinct from its competing brands, most of which were general pain relievers. Besides, given the modern work dynamics and stress, backache was turning out to be the newest ailment plaguing Indians. Patel's involvement with Krack in 1993 at Paras too worked wonders and created a new niche category segment altogether. There were hardly any products for cracked heels then in the market. It was the strength of the brands created for Paras by Patel that led to its buyout by British consumer goods firm Reckitt Benckiser Group, makers of Dettol and Harpic, for $726 million in 2010. Now with Fogg, Patel has once again rolled out an innovative marketing strategy. The product was positioned from the beginning as a value-for-money proposition and has once again demonstrated Patel's skill in building personal care brands. Interestingly, the market today has several companies with deep pockets which are all spending upwards of Rs 30 crore annually to create deodorant brands including Hindustan Unilever (Axe) and ITC (Engage). Patel doesn't reveal how much he has spent on Fogg but experts believe he has been thrifty in comparison. How can he fight their ability to keep spending on building brands? "I am frugal but also aggressive in my own way and not about to blink in front of competition," says Patel. "I worry more about the health of my own brands and their ability to meet a need and not about what others are up to." Most people Patel has interacted with in the past and the present point out that he leads from the front and sets high standards. "The interesting thing is that Darshanbhai does a lot of the work himself. The entire Fogg concept was completely his creation and after that he got the agency to take it forward," says Prateek Srivastava, former Group President and Director of O&M, whose association with Patel dates back to Paras. Srivastava has now co-founded Chapter Five Brand Solutions, which is aiding Patel on the launch of Fogg Black, a deodorant for women. "He thinks like a true businessman and has ideas that can be sold to people. He has an incredibly agile mind," says Vispy Doctor, Managing Director of consumer knowledge firm Ormax. Doctor has assisted Patel on several projects. Meanwhile, Vini is not betting on Fogg alone. "We are also seeing action with our launch of fairness compact powder White Tone and beauty benefit cream Glam Up," says Patel. White Tone was launched in April 2012, while Glam Up hit the market in August last year. The launch of Glam Up, in particular, is being viewed as a smart move by Patel into the nascent beauty benefit cream market, popularly known as BB. This segment is also known as CC (concealing cream) and FC (foundation cream) segment. "Our product provides an instant solution to women who feel the need to look better. I feel we have a blockbuster on our hands," he says. Indeed, this is a fairly recent trend globally as well. Nicole Tyrimou, Analyst, Beauty and Personal Care at London-based market intelligence firm Euromonitor International, notes in her blog that the frenzy surrounding the BB/CC cream products has been unprecedented. "These 'cult' beauty products have transformed the global innovation landscape." In India too this market has witnessed traction with all multinational brands having entrenched positions with products such as Garnier Miracle Skin Perfector and Pond's White Beauty BB+. For Glam-Up, Patel is banking on product quality coupled with competitive pricing to take on competition. "He really believes in quality research when it comes to knowing consumers ... He is truly original in his approach and acts fast and aggressively to execute his ideas," says Doctor. Patel is aware that the company will need to focus on products that have a better seasonal spread. "We have Jinjola in our portfolio, but prickly heat powders have a very limited shelf-life in summers," he points out. Hence, he intends to retain the product in the market but not aggressively push for its growth. "I will pull out all the stops only in product areas where I see a bigger market and also that is acceptable across geographies," he says. Vini is also scaling up its distribution network. It already has 5,000 wholesalers and is available across 7.5 lakh retail points. Patel expects to have closed 2013/14 with revenues of Rs 300 crore and is expecting some profit to show up in his books for the first time. But that is hardly a concern for his investors. "Our guidance is to focus on high growth, high gross margins and not worry so much about EBITDA (earnings before interest, taxes, depreciation, and amortisation) in early stages," says Pandey of Sequoia. It was this visible march forward by Vini that got Sequoia to pick up a stake in the company that has valued it at over Rs 1,000 crore. "What I see is a company that has a clear focus, ability to differentiate itself and take risks," says Kannan Sitaram, Operating Partner at PE firm IEP, a fast moving consumer goods companies veteran who has spent close to over two decades with Hindustan Unilever in the past.